Happy Easter, hope you all had a lovely Good Friday with plenty of sunshine and that you enjoy the rest of your Easter break. Hope to see you joining in the challenge this week, and take a look at the great inspiration from the rest of the Design Team. 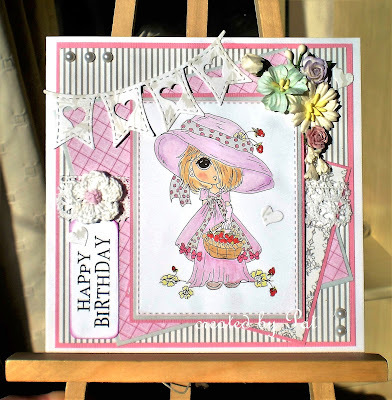 Your pretty card certainly is very girly Pap, so sweet in her Easter bonnet. Enjoy the rest of the Easter weekend. 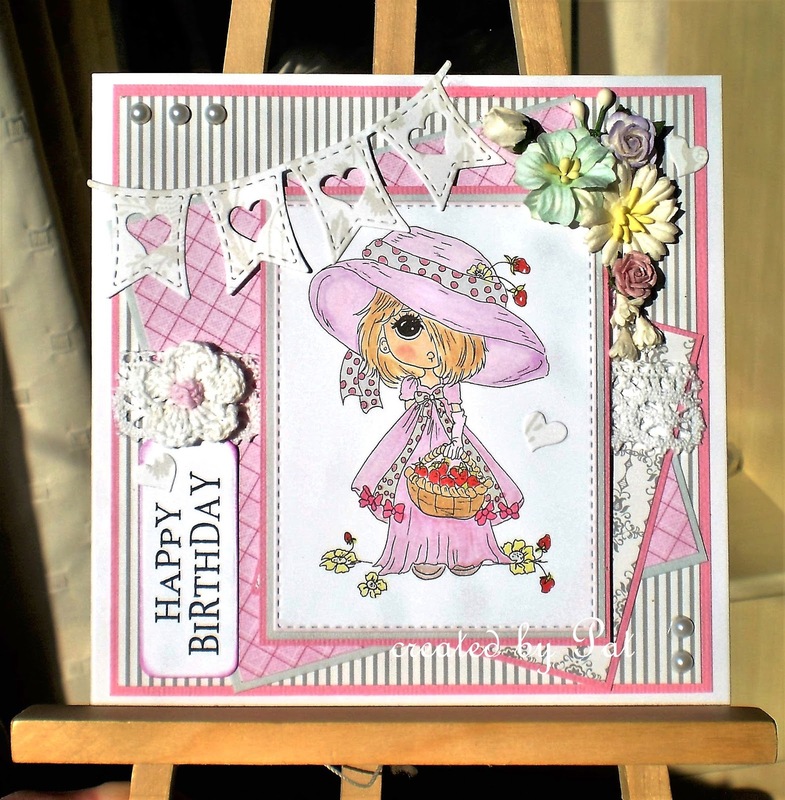 Really pretty card Pat, sweet image and lovely colours...a definite girly make! Gorgeous and girlie Pat, love it! Happy Easter. Beautifully made Sugar - how in the world did I get so very fat behind!!! !